Customized French vanilla lip shimmer w/white tube cap is becoming a rage around America due to its dulcet flavor notes and highly enriching cosmetic effects. It reminds of a delicious French vanilla and covers up lips with its tinted shimmery texture. It manipulates the texture of the lips and makes it appear happy and healthy. Health Quotient – PABA free. Debilitating synthetic manipulators avoided. Sweetened with saccharin. Cruelty- free. Natural and synthetic moisturizing ingredients used for formulation. French vanilla flavor. Directions – Apply French vanilla lip shimmer generously over bare lips during harsh winters and summers. Avoid using it over eyes or face as a moisturizer substitute or irritation healer. 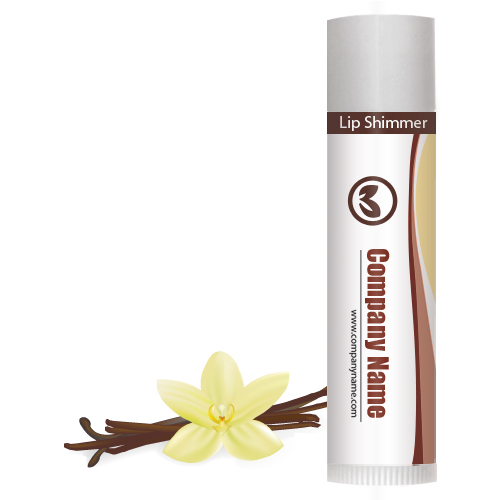 Gifting Favors – Customized French vanilla lip shimmer can be considered for personal or business gifting during harsh winters or summers. It makes a very favorable gifting choice during personal and individual celebrations, too.